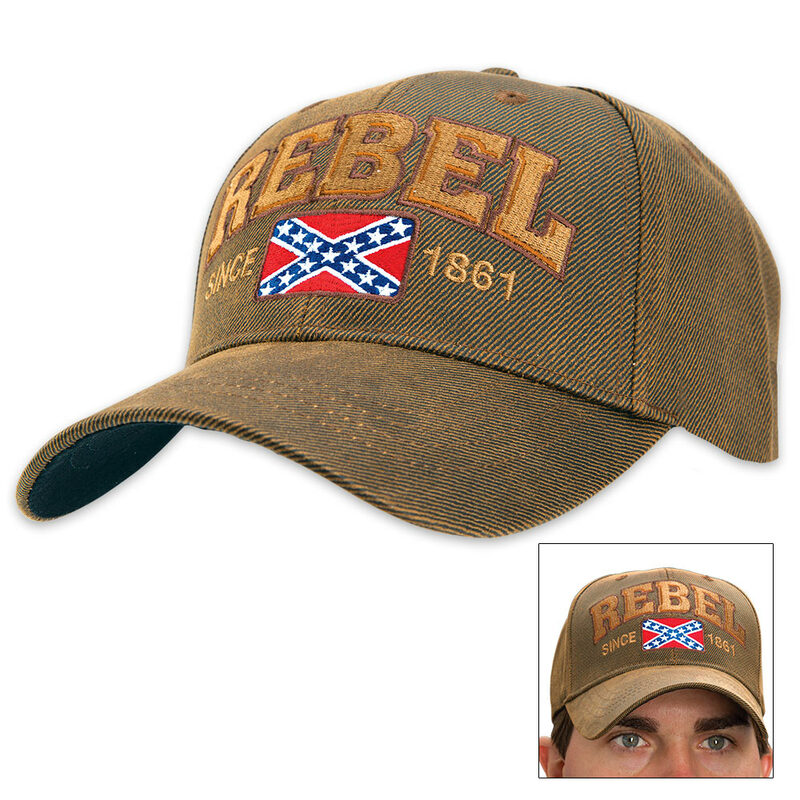 Rebel Oilskin Cap / Hat | BUDK.com - Knives & Swords At The Lowest Prices! If you're into vintage-looking caps, our Rebel Oilskin Cap is a must-have! 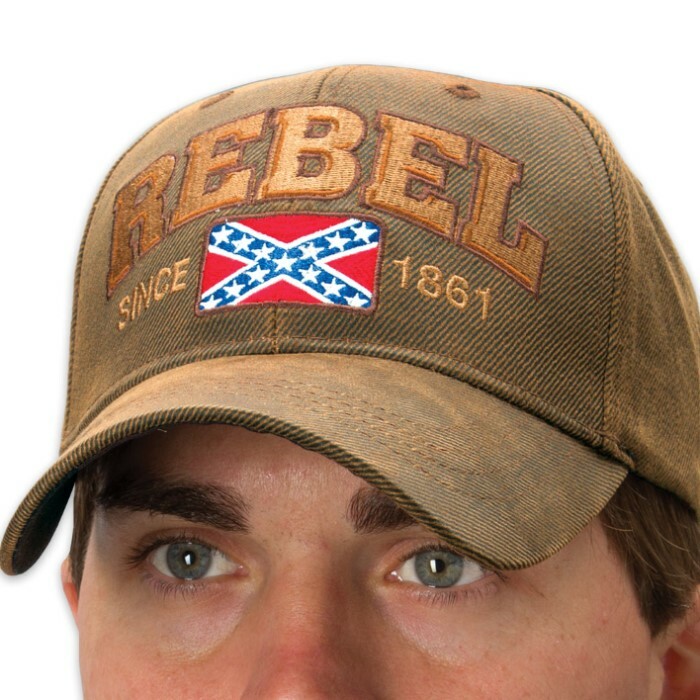 It pays tribute to Southern heritage with its Rebel flag patch on the crown and complementary embroidery. It's constructed of oilskin material that gives it that "worn just right" appearance. It's a six panel cap with an adjustable Velcro closure. Folks, this is a great-looking cap for everyday wear! 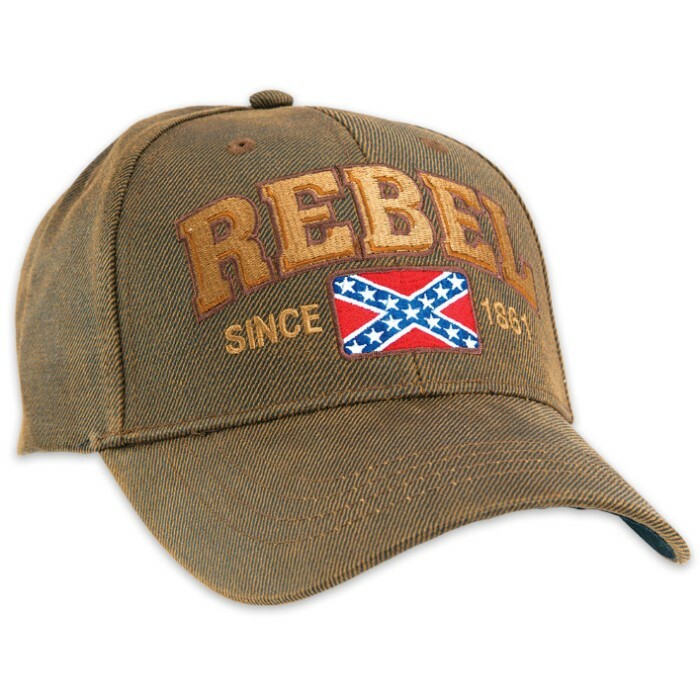 HAVE PURCHASED 3EA "REBEL SINCE 1861" HATS FROM BUDK. GREAT HAT AND NEED TO ORDER MORE, BUT OUT OF STOCK. PLEASE RESTOCK AND ADVISE WHEN AVAILABLE. THANKS. I bought this hat almost a year ago and it is still going strong the coloring has not faded and after a few days it sits perfect almost as if it was memory foam! Everyone was asking were I got this hat and I have always told them budk and only budk I plan on buying many more of these hats for friends and gifts for family!